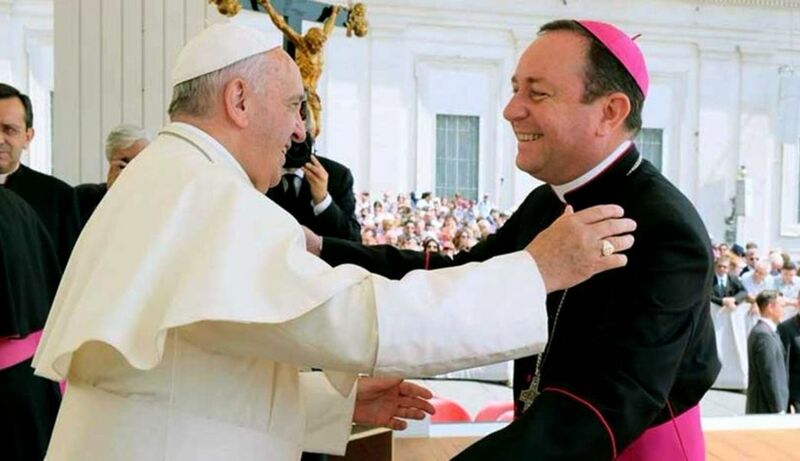 February 18, 2019 (LifeSiteNews) – Argentinean prosecutors have opened a criminal investigation for alleged sexual abuse against a bishop and close personal friend appointed and protected by Pope Francis, according to the attorney general’s office of the province of Salta, Argentina. The target of the investigation is Gustavo Zanchetta, who was named bishop of the diocese of Orán by Pope Francis in 2013. Zanchetta suddenly fled his diocese and resigned from his office in July 2017, claiming he had health problems that could not be treated in Argentina. Soon he was appointed by Pope Francis to a vague and undefined Vatican position, and came to live in Casa Santa Marta, where Francis himself resides. Witnesses have since told the Associated Press and Argentinean media that at the time of his resignation, Zanchetta was under a cloud of accusations that he had sexually abused seminarians, including some who were minors. He was also accused of taking naked selfies, exhibiting “obscene” behavior, and mismanaging the diocese. According to sources that have spoken to the Associated Press and Argentinean news sources, these accusations were reported to the Holy See twice, and were investigated by Pope Francis in 2015. Photos of the naked selfies were reportedly sent to the Holy See’s embassy in Argentina along with testimonies regarding Zanchetta’s misdeeds. However, no actions were taken against Zanchetta, who was allowed at the time to continue as bishop of Orán.